Metalloids is a term used in Periodic Chemistry when classifying the chemical elements. Each element can usually be classified as a metal or a non-metal based on their general Chemical and Physical Properties. However, metalloids have mixed properties which can be harder to characterize. The word Metalloids is derived from the Latin word 'metallum' meaning "metal" and the Greek word 'oeides' meaning "resembling in form or appearance". The terms brittleness, semi-conductivity and metallic lustre are often used as distinguishing indicators of metalloid status. Some metalloids also contract on melting, unlike many other types of metals. They can also form alloys with metals. 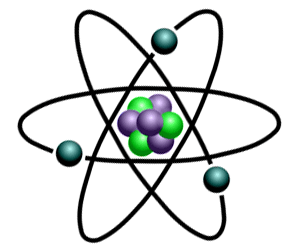 The 7 elements classified as "Metalloids" are located in Groups 13, 14, 15, 16 and 17 elements of the Periodic Table. Elements classified as Metalloids have properties of both metals and non-metals - refer to Metalloid Properties. Some are semi-conductors and can carry an electrical charge making them useful in calculators and computers. In the standard layout of the periodic table, metalloids occur along the diagonal the stair-step line that distinguishes metals from non-metals. The stair-step line of the Metalloids are from Boron to Polonium. Metalloids have properties of both metals and non-metals. The Elements to the upper right of this line display increasing non-metallic behaviour whereas elements to the lower left display increasing metallic behaviour.